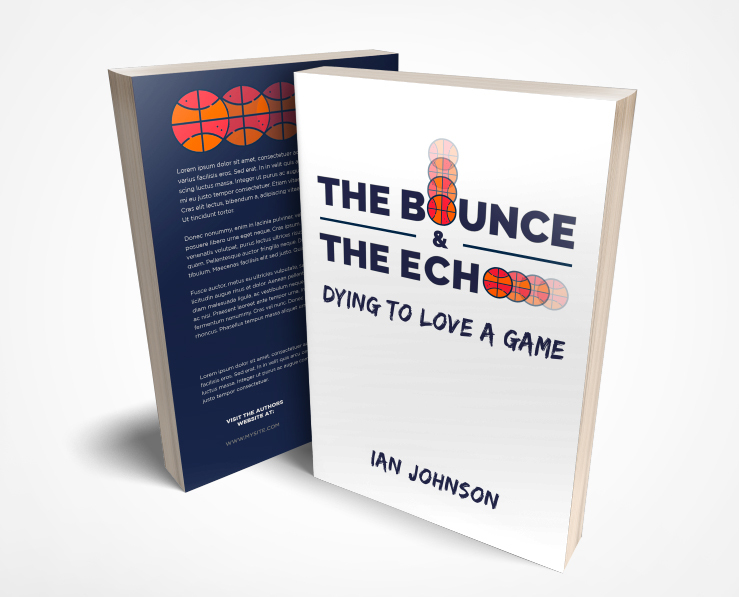 The Bounce and The Echo by Ian Johnson is a memoir enriched by the enthralling history of the sport of basketball, from its inception unto its current state. It is the story of one person’s attempt to discover himself anew while on a venture to find peace with a game he so desperately wanted to love. The Bounce and The Echo is a story for every athlete who has ever picked up a ball and wondered why, and a book for anyone who has ever wanted to know what happens to a star athlete once the spotlight fades away. Of all the major sports in the United States today, basketball is the only one that can trace its origin back to a single man, James Naismith. We know where, how, and why Naismith invented the game, and we know much about Naismith himself. Perhaps it’s not coincidental, then, that basketball has evolved into the most personal and least anonymous of sports. Players perform in what is essentially decorated underwear, and only ten take the court at a time. Basketball courts are relatively small, and fans can sit close enough to see the sweat beading on the foreheads of superstars like Giannis Antetokounmpo and Brianna Stewart. More so than any other sport, basketball has been shaped by the personalities of its most influential proprietors, from Naismith to Phog Allen, through George Mikan and John McClendon, and more recently by David Stern and Michael Jordan. But for every Wilt Chamberlain and Manu Ginóbili, players who have molded the game in their own images, there are millions of players for whom the opposite is true: players who allow themselves to be dissolved into the image of the game, becoming more or less invisible along the way. Pittsburgh native Ian Johnson was never truly a ghost. He played high school basketball at the prestigious Oak Hill Academy alongside Carmelo Anthony, played four years of Division I basketball at Davidson College, and five years of professional basketball in Europe. He won multiple championships and a large number of personal accolades along the way, but Ian spent his career living a double life, both as a committed athlete who thrived on competition and as a skeptical observer who struggled to accept that he was devoting his soul to a game. Ian was a small-time star in a cutthroat system, yet also an unwitting cog, his outward personality indentured to a sport, a fact he didn’t fully understand until he tried to walk away from the game at the age of 27. Basketball aside, Ian realized how little he knew about both himself and the sport that had run his life, assuming there was a difference. The Bounce and the Echo is the story of his attempt to discover himself anew and his venture to find peace with a game he so badly wanted to love. From Springfield, Massachusetts in 1891 to the gold medal game at the Rio Olympics in 2016, from Cameron Indoor Stadium to a tiny Indian village in the Himalayas, from youth basketball leagues in Pittsburgh to the howling arenas of Europe, The Bounce and The Echo traces the history of basketball from its inception through its many current iterations. In it, Ian unsparingly and unflinchingly lays bare his own story, from his suicide attempts in college to hanging with a young Stephen Curry, from the haunting depths of an obsessive-compulsive mindset to the insatiable joys of competition, and, finally, from the fog of confusion into the sting of clarity. The Bounce and The Echo is a history of basketball told through vulnerable self-reflection, presenting a story for every athlete who has ever picked up a ball and wondered why.